For more information about our construction services, click here to contact us! 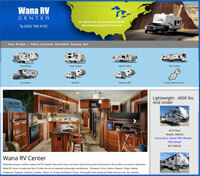 Wana RV Center has been offering wholesale RV pricing in Northern Indiana since 2003. Located less than 15 miles from all of their respected cutting edge RV manufacturers such as Rockwood, Puma, Catalina, Passport, Stryker, Zinger, Volante, Sabre, Columbus, Catalina, Fuzion, Alpine, Fun Finder and Shadow Cruiser. All of this equates to more savings for you! From fifth wheels and travel trailers to hybrid, park trailers and toy haulers, WANA RV Center can help you with an in stock unit or that special unit to fit your needs and they will even deliver the RV to your home! Contact WANA RV Center to learn more about their wholesale RV pricing today! Wygant Floral Company, a South Bend Indiana Florist has been proudly serving South Bend, Mishawaka and the rest of the Michiana community for nearly 75 years. Wygant continues to be committed to excellence in design, quality and professional service. You can find unique gifts and order flowers right from the Web site! We offer a different Style to fit your needs and we have a wide selection for Special Occasions. So when you are looking for a florist in South Bend Indiana, think Wygant's! RVR Builders, Inc., a Custom home builder in South Bend Indiana, serves the greater St. Joseph County Indiana area. Our mission is to “provide a system whereby someone can build a small custom home in South Bend / St Joseph County, Indiana, Elkhart County, Indiana or Marshall County, Indiana areas at an affordable price. With RVR Builders, you control the costs, we do the work. We offer a Custom Home - Speical Introductory Offer. 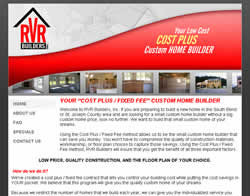 Contact RVR Builders today, Your Low Cost Plus Custom Home Builder. Jet Fabricators, Inc. is a Custom Metal Fabricator serving a wide range of industries nationwide, since 1956. Jet Fabricators, Inc. works in Custom Steel Fabrication ,Metal Fabrication of Component Parts or entire mainframe assemblies, Custom Metal Tank fabrication and Custom Metal and Steel Reservoirs. Looking for a Web designer in Phoenix? BANG! 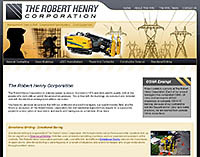 is a full-service Web design company located in Phoenix Arizona. 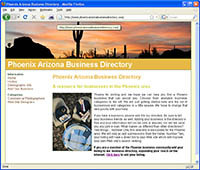 We offer Phoenix Web design services by experienced professionals. Our Web development Phoenix team handles the crucial elements of programming and search engine optimization for your site. Beyond our skill with the tools to research keyword phrases and how often they are searched, we also have software tools to monitor and track where your site ranks at any given moment on multiple search engines. Imagine how much more profitable your company would be if you could operate 24 hours a day, 365 days per year. BANG! 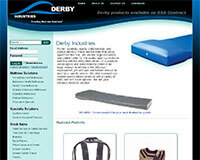 Web Design can create an e-commerce Web site, to enable your customers to shop wherever and whenever they like. All they need is an Internet connection, and all you need is an e-commerce Web site design from BANG! Web Design! Contact BANG! Web Design, Our dedicated staff of degreed professional Web site designers has the experience required to create a website that gets results... we guarantee it!